Nickel GROUP CHEMICALS that we trade and export is mainly used for electroplating nickel. 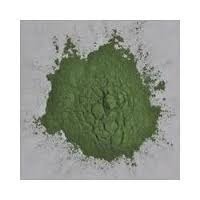 This product is an inorganic compound, which is highly soluble. 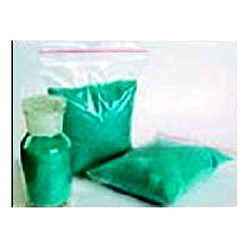 Blue in color, Nickle Sulphate offered by us is hugely demanded in the market for their excellent physical and chemical properties. With the aid of our quality controllers, we are able to ensure that the chemical offered by us is processed at the vendors' end using tested ingredients and compounds. Nickel(ii) oxide is the chemical compound with the formula nio. It is notable as being the only well characterized oxide of nickel (although nickel(iii) oxide, ni2o3 and nio2 have been claimed). The mineralogical form of nio, bunsenite, is very rare. 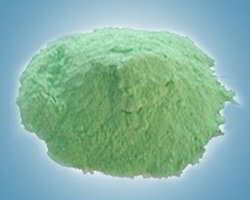 It is classified as a basic metal oxide. We are instrumental in providing clients with Nickel Sulphate that complies with prevailing industries. This chemical is made available to the clients in high-grade packaging to ensure its safe delivery at clients' end. Nickel sulphate that we bring forth for our clients is a high melting solid, reckoned for its accurate composition and longer shelf life.